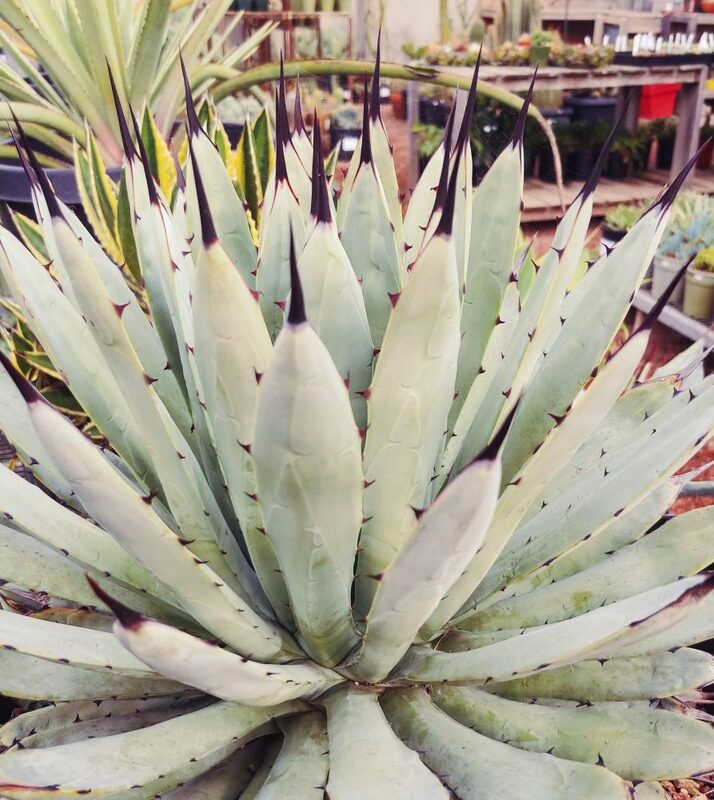 Agave “Pablo’s Choice” has a certain fresh blue leaf color. 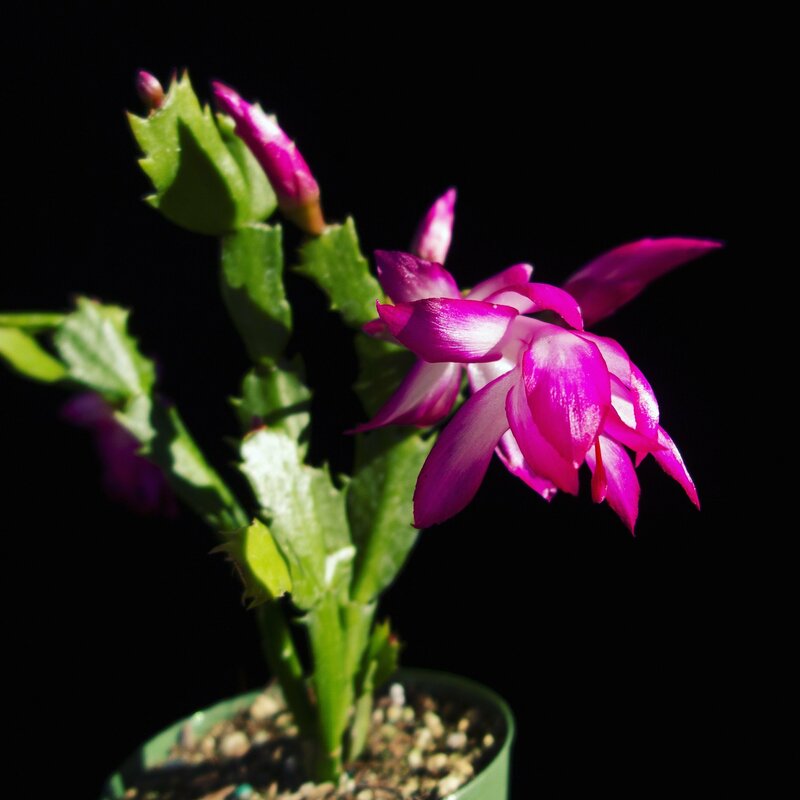 Schlumbergera hybrids have the best flowers. 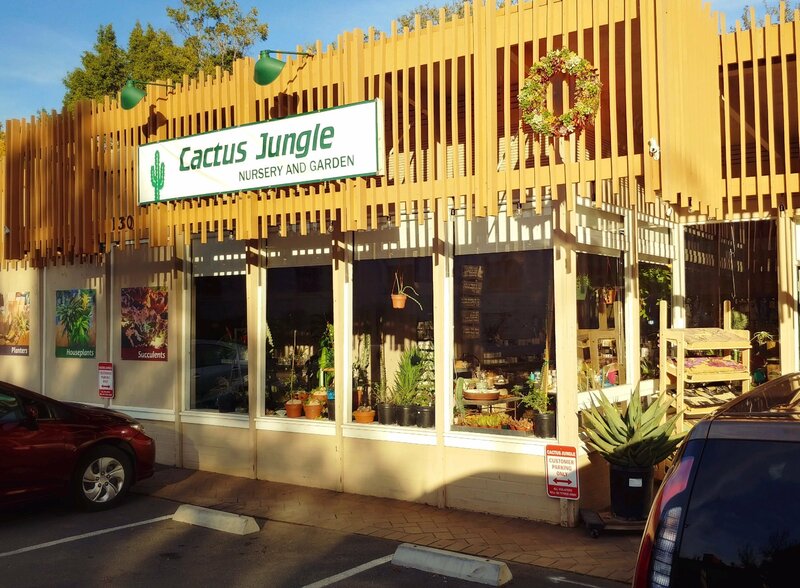 Cactus Jungle Marin is ready for you and all your holiday shopping needs. 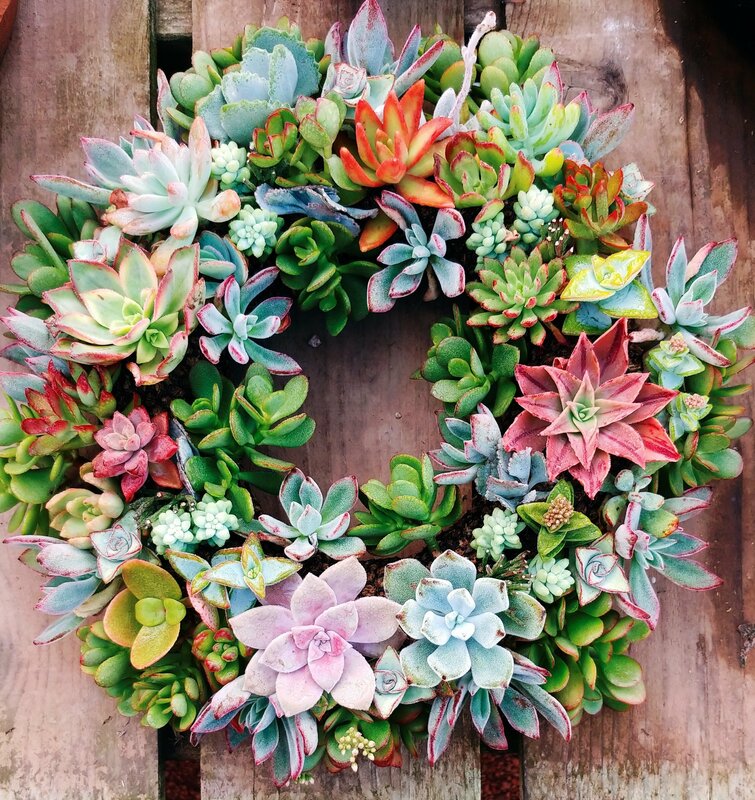 Wreaths! Gifts! Plants! Pots! Handmade thingies! 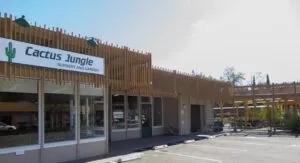 We are having our Grand Opening for our new Marin store in San Anselmo, CA all weekend long! 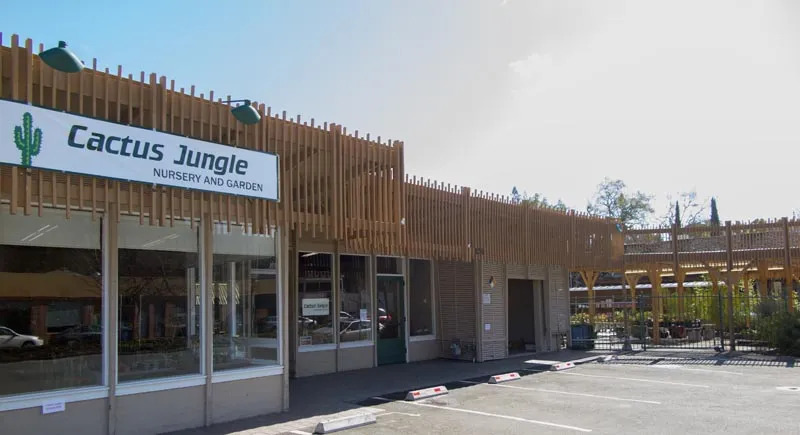 • 30% OFF Pottery Sale – All outdoor terra cotta, glazed and concrete pots and planters are 30% Off, handmade artist pots not included. • Free Coffee in the morning and wine/beer/cider late in the day. • Snacks all day, including Vegan and GF options. 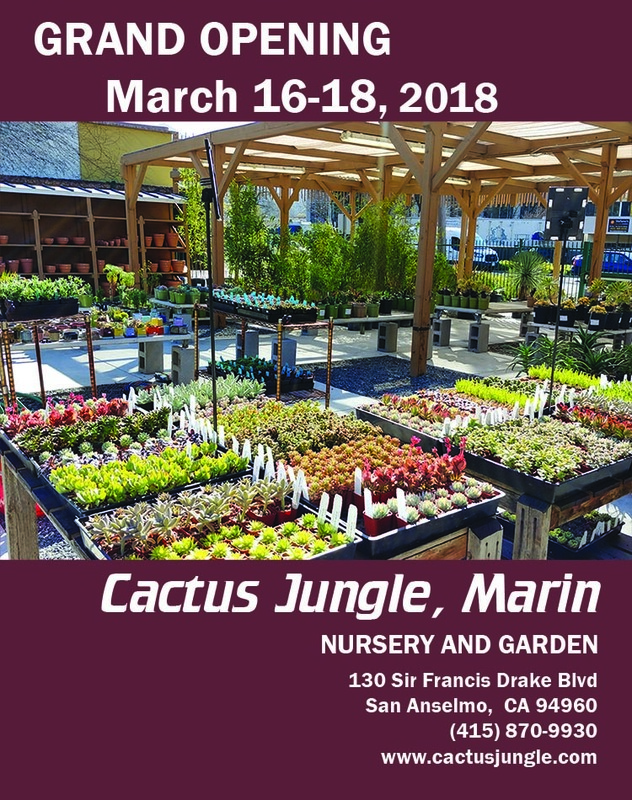 • Plant Raffles each day, come by and see what we’re raffling off! 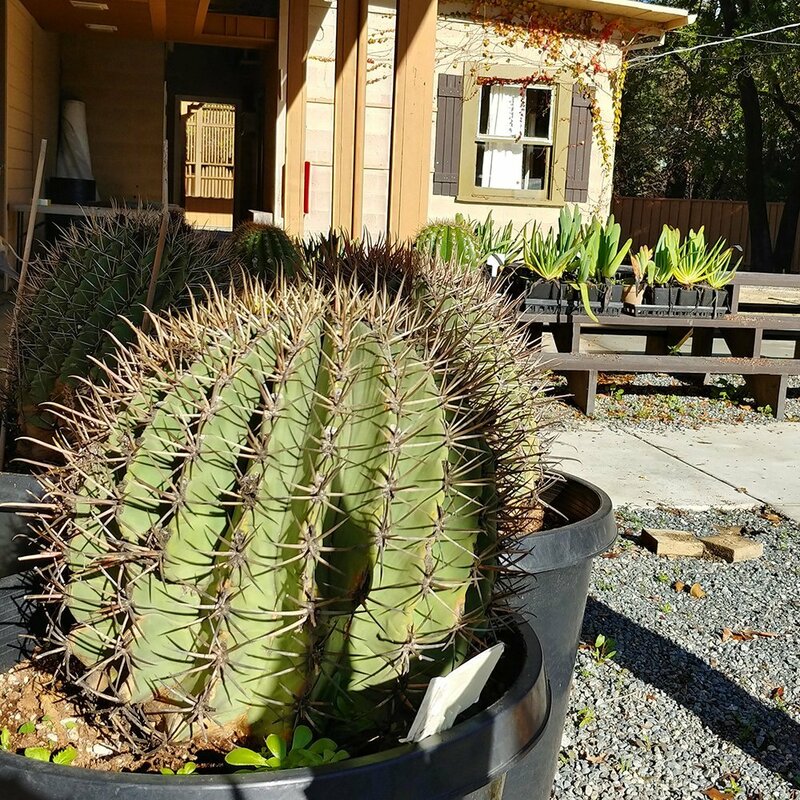 10a-5p Cactus Jungle Staff available for repot help at our Potting Station. Do you have a plant that you keep meaning to repot, but keep putting it off because you’re not sure what to do? 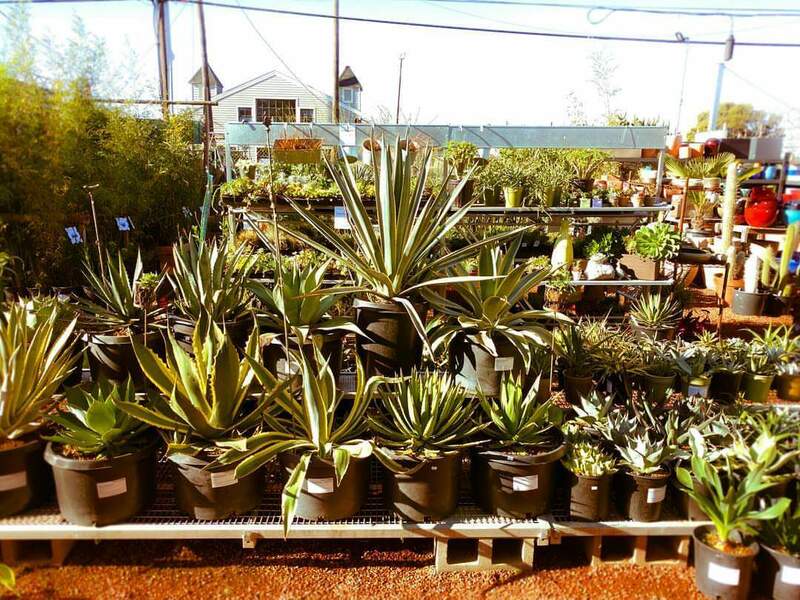 Bring it in and our staff will help you pick the right soil, the right pot, and show you how to repot it! 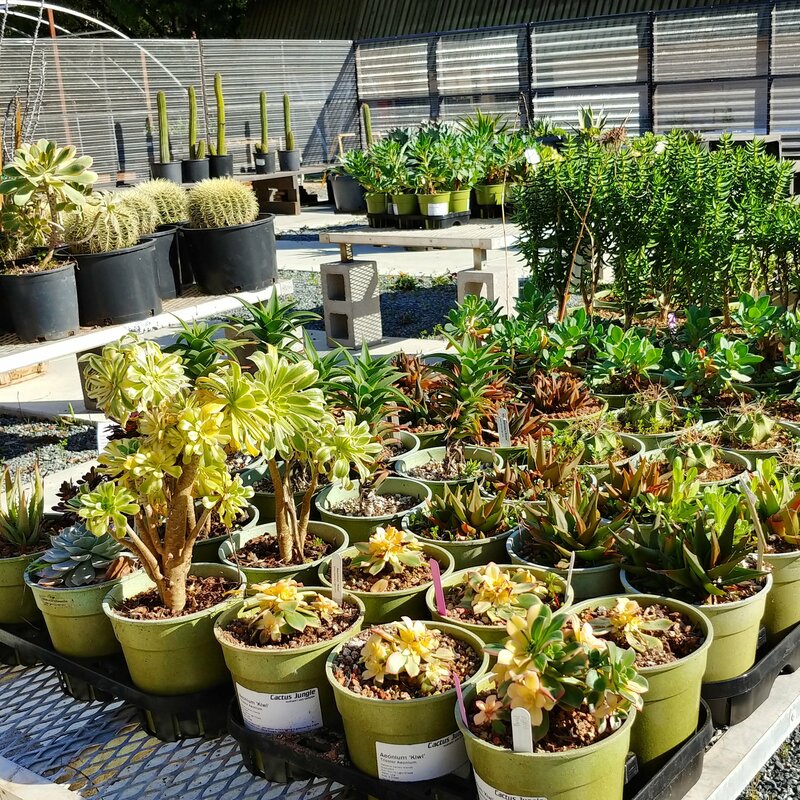 Ever wondered why succulents are, well, succulent? 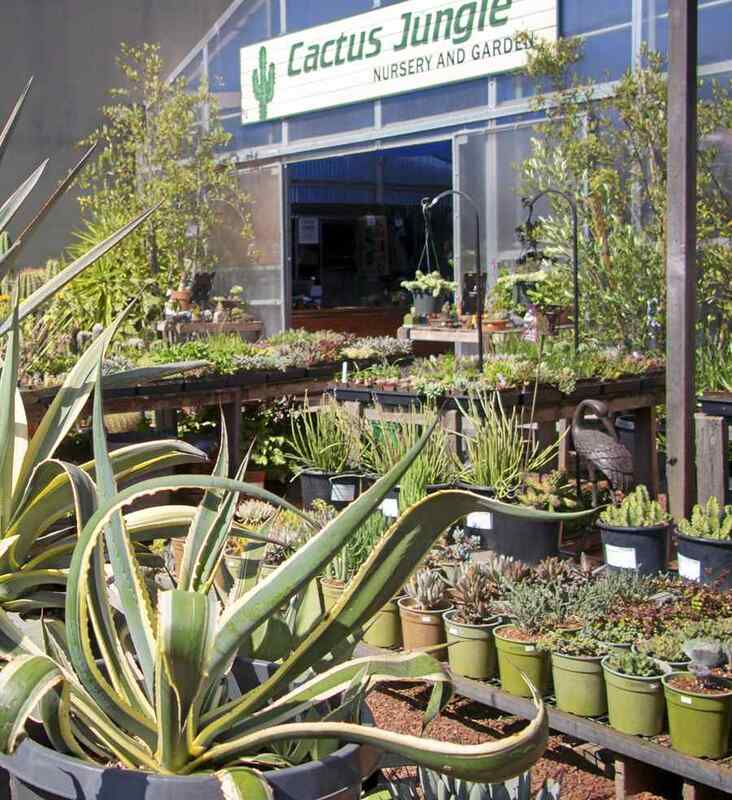 Do you know the difference between a cactus and a succulent? 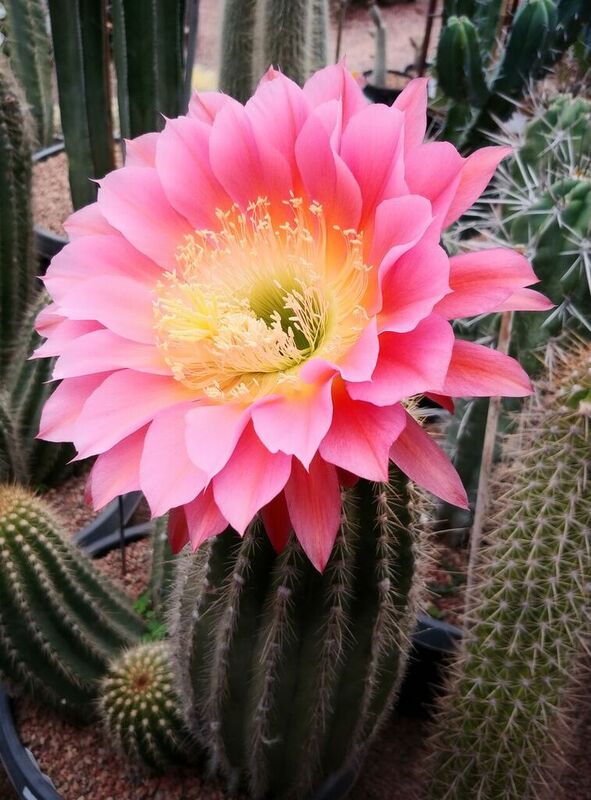 Have you been pondering why we love these plants so much? 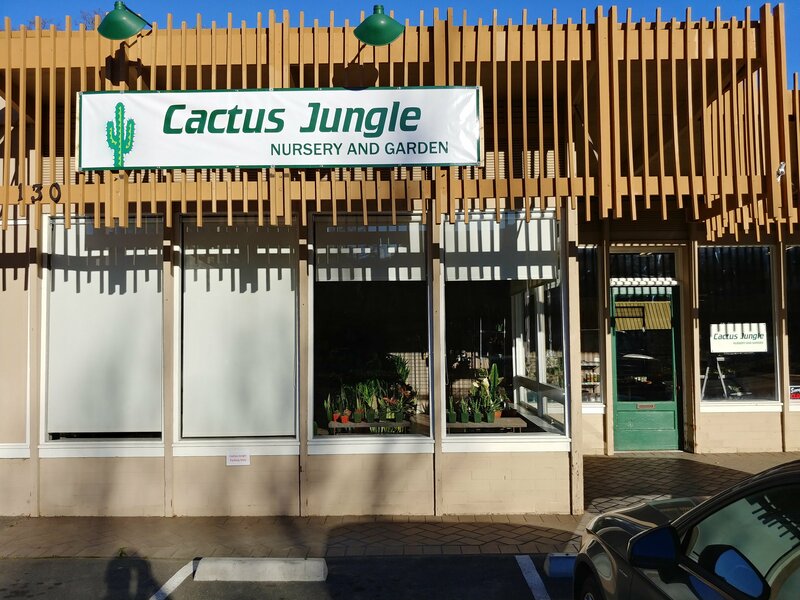 Get answers to these questions and more that you didn’t even know you had with Peter, one of the owners of Cactus Jungle. 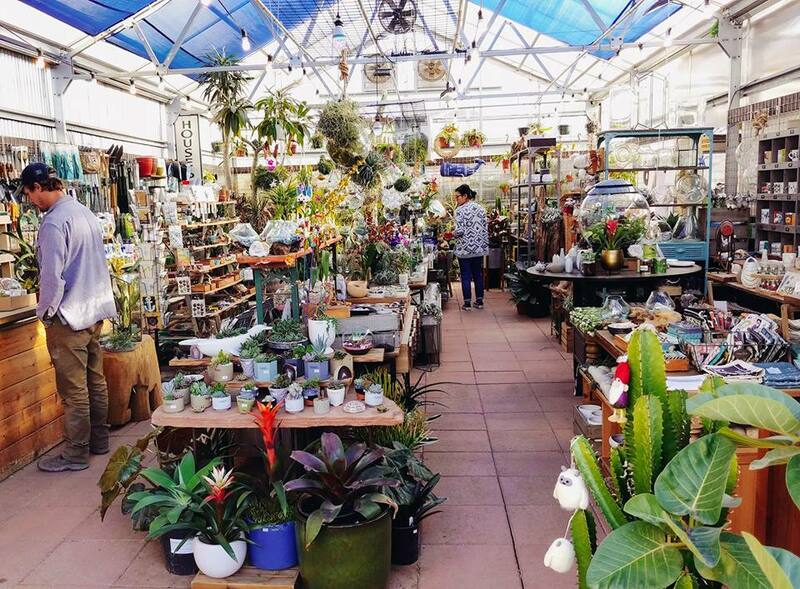 Learn all about the latest trends in houseplants, how to pick them for your home and how to keep them alive through quality care. 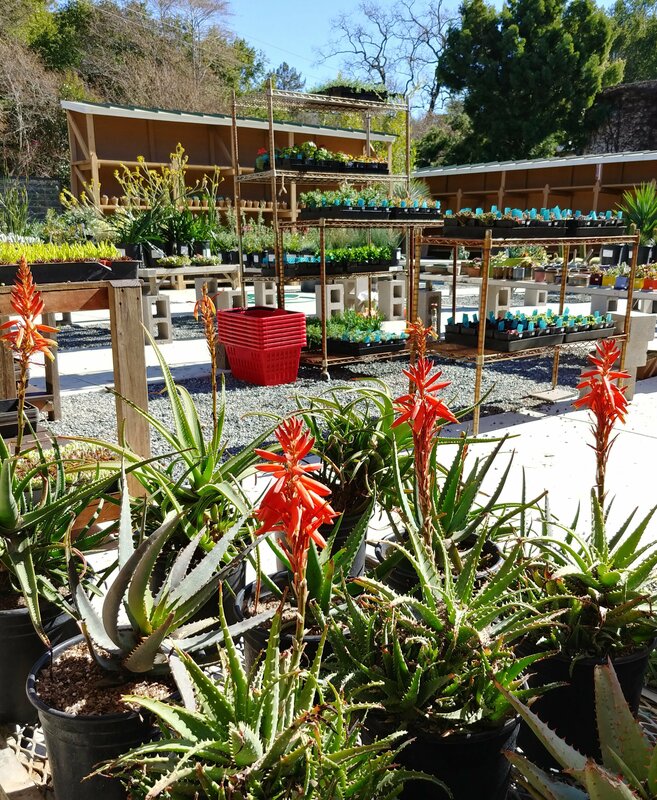 Come talk to our Production Manager, Anne, and learn some of the tricks of the trade of propagating succulents! 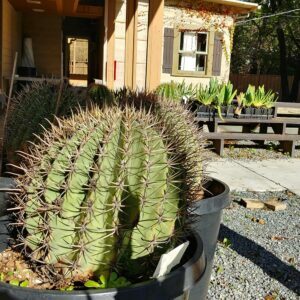 Learn how to take cuttings, root them out, and go from a single piece of plant to a big healthy succulent. 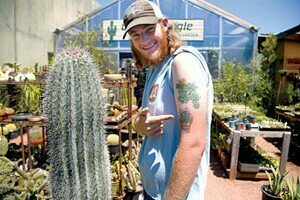 Hap, Owner of Cactus Jungle, will show you how we repot and propagate our most spiny and stabby of plants as safely as can be done! 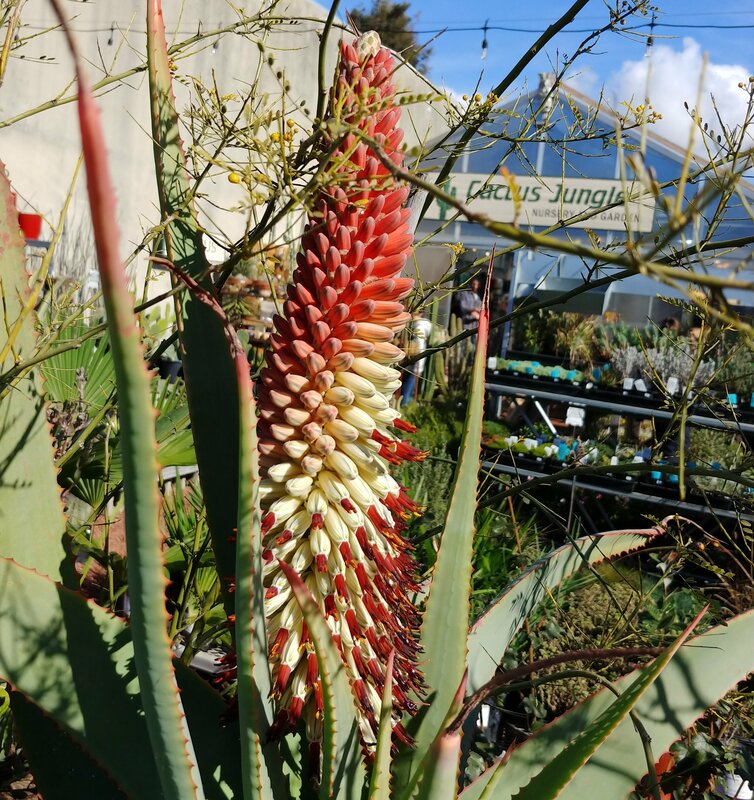 Aloe speciosa giant bloom stalk with many colors! 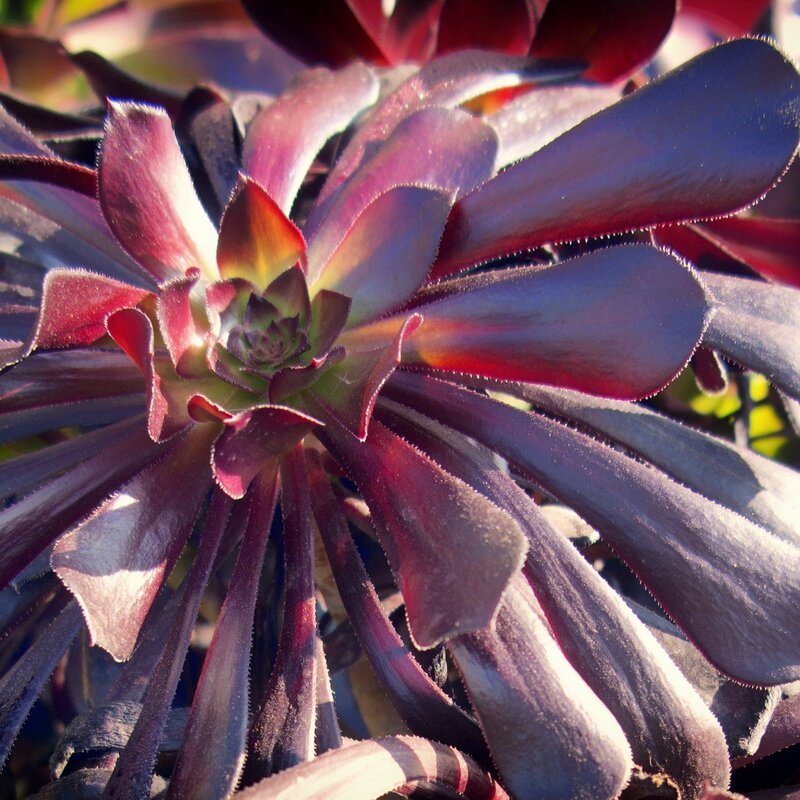 Aeonium “Schwartzkopf” is a classic, selling well at the nursery every year, forever. It is beautiful, it is tall and lanky, it is a large rosette this time of year as winter moves in. Nice! 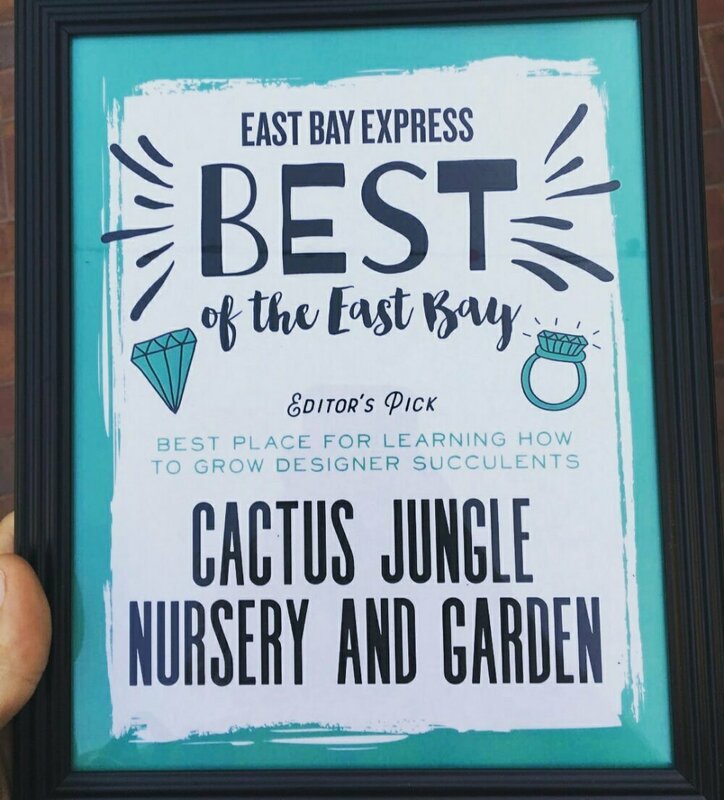 We Made Best of the East Bay! ​Ibervillea lindheimeri vining nicely. Buds are coming too! 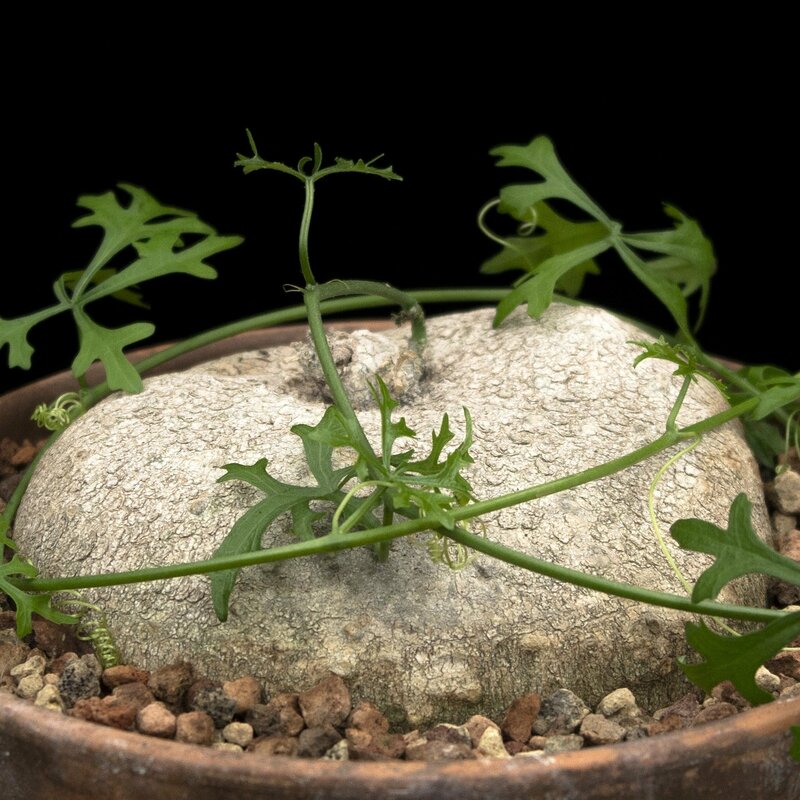 Large white caudex, annual vines, dormant in winter. Vines have long tendrils, small yellow flowers and red berries.